Agreed Value Coverage – We pay the entire agreed amount, with no deductible, for a total loss. Replacement Cost Loss Settlement – Repair or replacement of covered property is paid for without deduction for depreciation on most partial losses. Liability Protection – Limits of coverage to suit your personal needs, including: legal defense costs, pollution clean up and containment coverage and wreck removal. Medical Payments – Reasonable medical and related expenses are included for all those onboard, boarding or leaving the covered vessel. These benefits are provided on a per person basis, rather than per occurrence. Optional and customized limits are available. 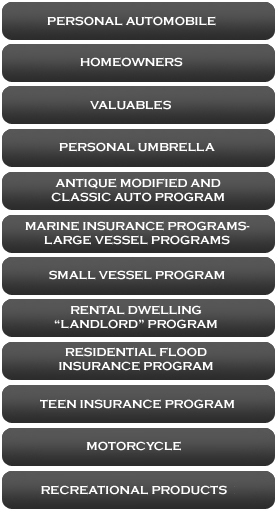 Uninsured Boater Coverage – Pays for bodily injury to persons aboard the insured watercraft who are injured by an uninsured owner or operator of another vessel. Longshore and Harbor Workers’ Compensation Act (LHWCA) – When Liability coverage is purchased, coverage is automatically provided for those employed aboard the vessel who are within the jurisdiction of the LHWCA. Personal Property & Fishing Equipment Coverage – Protection is automatically included for the clothing, personal effects and fishing gear of the boat owner and their guests. Optional higher limits are available. Towing & Assistance – We automatically include this coverage with optional higher limits available. Trailer Coverage – Optional trailer coverage is available.